Pure silk is made from a natural protein-fiber obtained from the larvae of the mulberry silkworm; it has a tendency to wrinkle depending on the variety. Leaving crumpled silk garments in damp conditions also causes them to wrinkle. 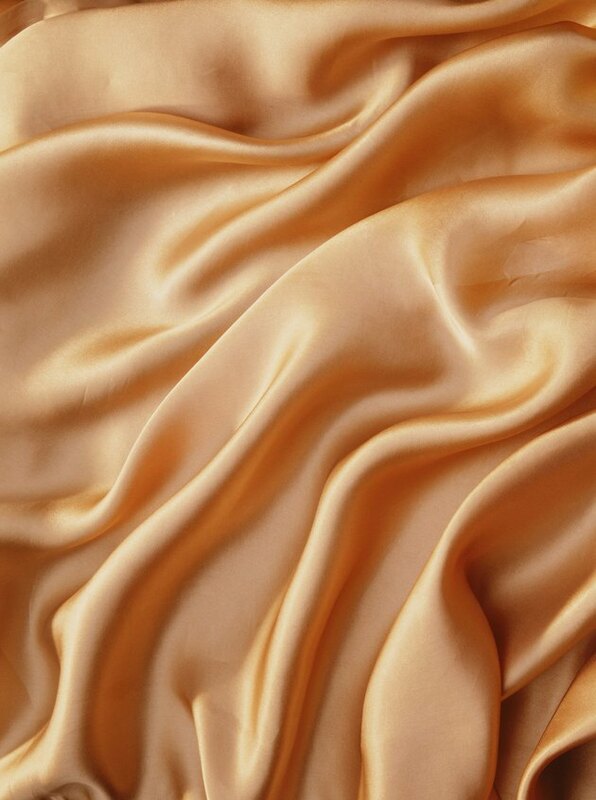 Some silks -- like crepe de chine, habotai, noil and charmeuse -- are less prone to wrinkling. Ahimsa silk -- also known as "Peace Silk" because it is made from silkworm cocoons in which the silk worms are not killed -- wrinkles less than other silks. Remove wrinkles with a hand-held steamer. Hang your silk clothes in breathable clothes-covers -- in a dry place -- to keep them wrinkle free. Iron smooth-finish silk like charmeuse on a "low" setting. Hang the garment in a breathable clothes-cover to keep it dry and to prevent it from touching other garments. Place the two ends of your tie together after you take it off. Roll up the tie around your finger. Slip the tie off your finger and leave it rolled up. This tightens the fabric and helps keep the tie wrinkle-free. Fold your silk garments after ironing. Place tissue paper between the folds. This prevents wrinkling when you store or pack the garment. Hang up your silk garment in the bathroom when you take a hot shower. The hot steam relaxes the silk fibers. The natural weight of the garments pulls out most wrinkles.